Curious to get some feedback here from our community. What is your current monitor setup at home or office? Is it already your ideal setup? If not, what IS your ideal setup? Are you a dual or triple monitor person? Or do you prefer to keep things simple with one monitor? What size, resolution, aspect ratio, or brands do you prefer? I'm sure this will open up some solid discussion... LET'S GO!! My current setup is a MacBook Pro and Lenovo Yoga. It’s not my ideal setup though. Ideally I would like at least a dual monitor setup as I think it’s better than split screen. I also don’t want to give up portability so it would probably need to be more or less a docking station I would use. At least an area with monitors setup that I can easily connect to. It's changed a bit but I think it peaked when I still had my ThinkPad as my only PC. 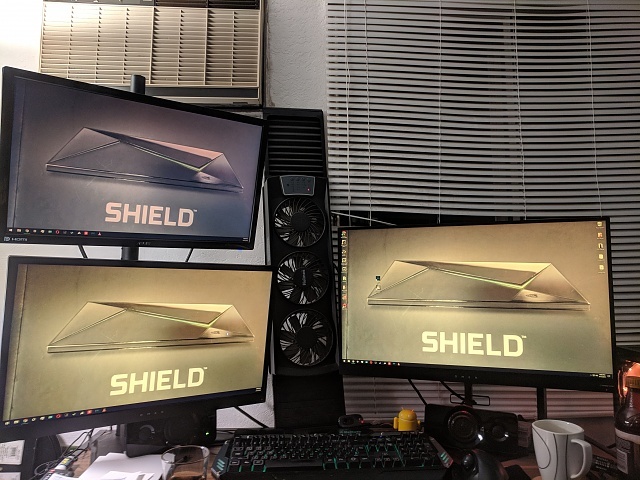 I had two old monitors hooked into a docking station for it so I could come home, drop it on the dock and boom - two displays and the whole desktop feel. The monitors are a 14" HP (1024x768) that's probably around 17 years old and the better one is a Samsung SyncMaster of a size that currently escapes me. I'll check on that soon. Right now, I commandeered my sister's old desktop so that's using the Samsung and the HP is hooked up into a USB 3.0 dock which I plug my MacBook (replaced the ThinkPad) into. Well, it's not functional right now because the latest macOS update broke DisplayLink but I await a fix. As far as brands are, I'm pretty brand-agnostic and my ideal setup is probably two or three displays of similar size. A work I've been using a dual monitor setup for years. I would love try a single super wide monitor instead. At home I sometimes connect to my 55 widescreen, however that makes me less mobile. Currently all I have is my laptop and no external. As far as resolution etc it really doesn't matter to me as long as it doesn't look like someone took dots to put everything on it. For awhile now I'm on, use my phone for most things. Wth is a monitor? I don't like PCs, and the nearest I've got to one is a 9" hybrid laptop which I seldom use, but need for occasional device management stuff and flashery. The smaller the better as long as it will do the job, and it does do it. A monitor and PC is what people with real jobs use to do real work. two side by side 29" ultrawide Dell monitors with a 20GB RAM, 8th Gen. i7 Dell laptop dock via thunderbolt bolt with a matching setup at the office. I wouldn't personally have gone all Dell but that's what we use at work. @Golfdriver97 - had no idea you had a setup like that! Awesome! Ideal Setup: I’d love a MacBook Pro. I feel I’d be more inclined to used a laptop that I could reply to iMessages on and that was part of the same ecosystem as my daily drivers. At work, I use a HP computer/Monitor... single monitor, but our IT Guy is begging me to go with two, but I don't have a lot of space. At home, I happily get by with my iPad Air 2, my iPhone 8 Plus and my Apple Watch. My husband's the geek of the family, and his desk at work looks similar to @Golfdriver97 . He's looking for a system at home... which makes me happy because he never spends money on himself and he SHOULD! Golfdriver97 and akutch34 like this. I had a single ASUS 24" monitor. Nowhere near my ideal set up. If I could build a new computer there are a few options I would go for. 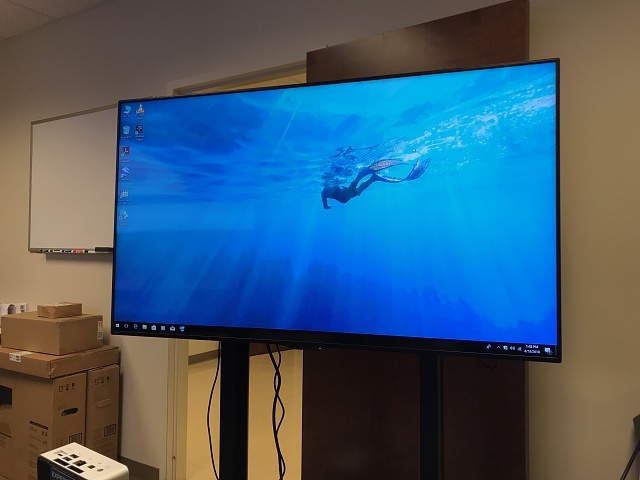 144hz, 27"+ most likely an ASUS or Samsung at least 2 or one 36"+ with a smaller 24" one for gaming and movies and the other for just browsing and secondary game programs. kbz1960 and akutch34 like this. At work I have dual Dell 24" @ 1920x1080 monitors. Home - Would like to swap out the 32" for a 42" or larger. My current work setup is a lousy single monitor. My desk is large enough and my eyesight poor enough to make me wish for dual widescreens (though I'd have to shred the paper wastes splayed around me). Maybe my best shot is to redo my home office setup. I really like my iMac retina set up. Scaling works really well I just wish I could connect a laptop to the monitor. I currently have a 27” iMac and love it. 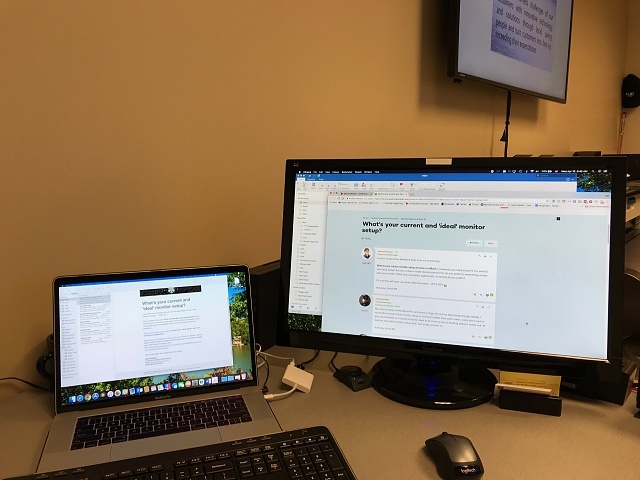 At work, I have two 24" monitors connected to my PC, as well as a laptop beside it. At home, just one 24" monitor on the PC and a personal laptop as a second screen. In either situation, I'd prefer to have a larger wide-screen monitor (curved would be nice). 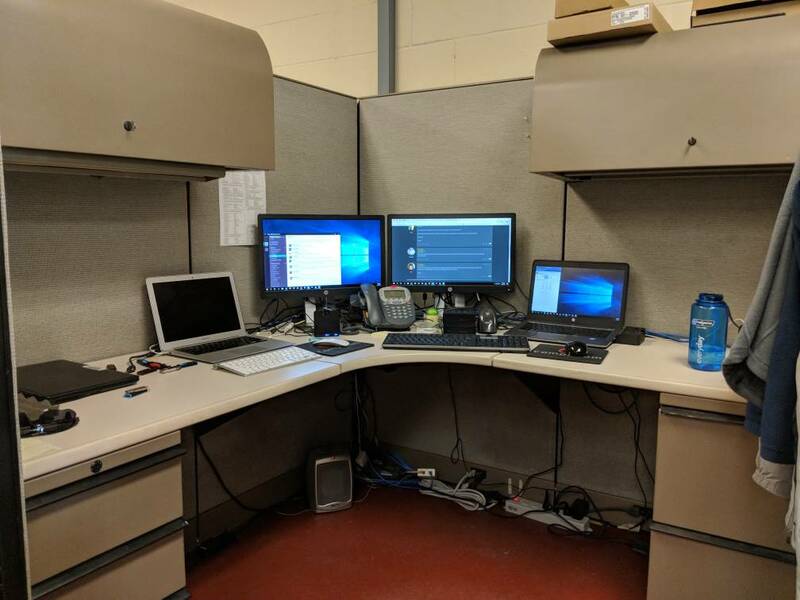 My work setup are two 24" monitors connected to a Lenovo ThinkPad hub. My home setup is currently a singile 24" monitor connected to my MacBook Pro, its display is open on the side. Here's my work setup. 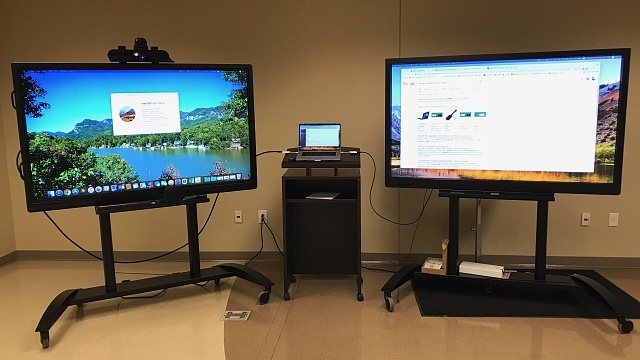 Two 20 hp displays connected through displayport, with the 14" laptop display added on.. I use two 24" monitors connected to my Lenovo X1 Carbon through a Thunderbolt USB-C dock. My current setup is a 23" Dell, 1920 X 1080 16:9 ratio. My ideal setup would be anything between 23" - 30", 3840 X 2160 16:9 ratio, with high-end specifications. Guys I dropped my samsung s8 in water and water entered phone via broken sim tray.